You can add Outlook-style scheduling to your .NET apps with this complete scheduler solution. Scheduler for WinForms includes five built-in views, recurring appointments, reminders, labels, data binding, grouping, import/export capabilities, and much more. With 2018v2 release of ComponentOne Studio, Outlook 2016 views are the latest addition to Scheduler for WinForms. The Scheduler control allows user to create, manage appointments, and also effectively display data using various view types, each tailored according to the specific requirements. As an addition to the existing ViewTypes: Day, Week, Work Week, Month, and Timeline views, the 2018v2 release offers more options to view appointments by introducing new views. The AgendaView control is a sequential list of appointments grouped by start date. 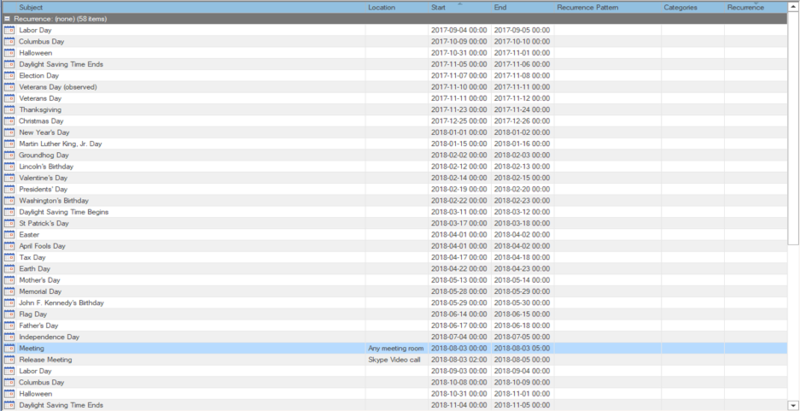 This view shows all occurrences of an appointment as different records. Also, it supports editing the appointment using an EditAppointment dialog. 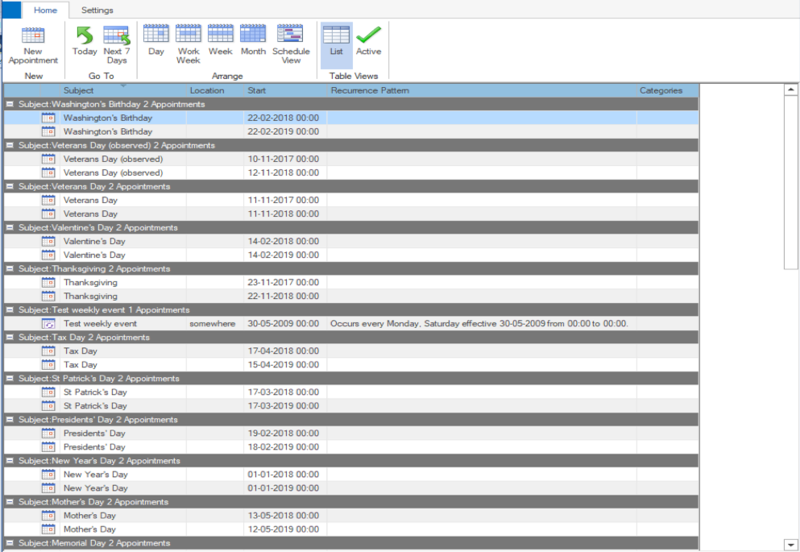 The TableView control is a tabular display of appointments where each record represents an appointment. Its information like subject, attachment, start/end date, and category are shown as columns. Just like grids that come in tabular structure, it can be grouped, sorted and filtered. This view contains two additional views: Active and List. 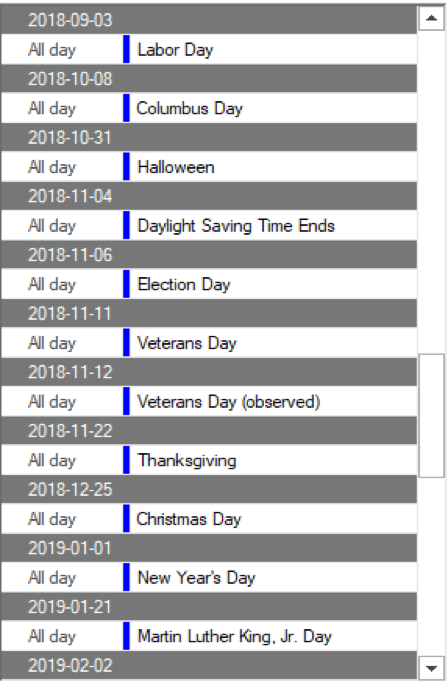 The Active view does not show overdue events; however, the List view displays all of your events in the calendar. In addition to an EditAppointment dialog, TableView also supports in-place editing. AgendaView: This view is best suited for scenarios where we need to know the upcoming appointments but the space available is limited. 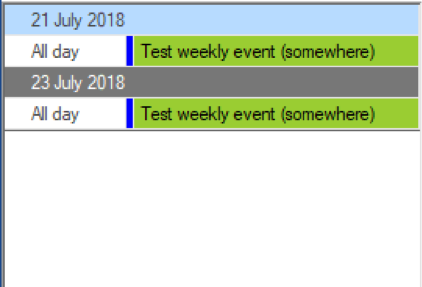 Searching in a calendar, the drop down shows the appointment information in brief. Showing a list of upcoming appointments beneath the calendar. TableView: This view is suited for scenarios when knowing the subject of appointment is not enough information. 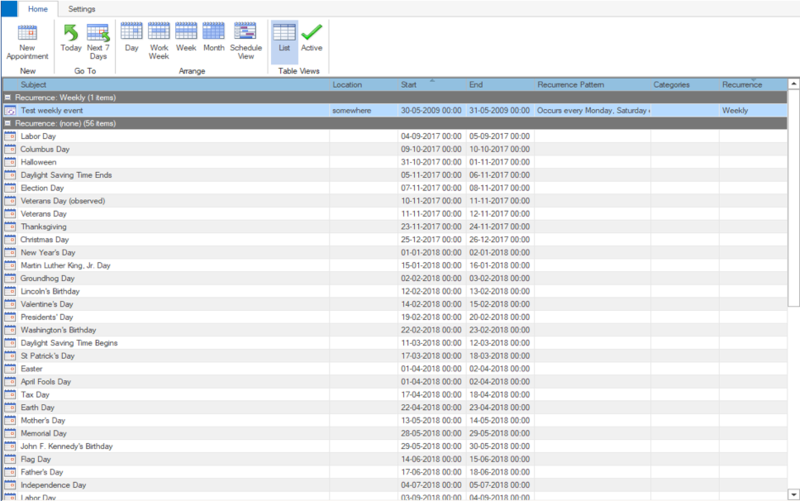 The TableView shows each part of the appointment information. Use this view when there is a large list of appointments and when the categorization needs to be viewed. First, add reference to C1.Win.C1Schedule.Extended.4 assembly in your project. This assembly consists of the new Outlook2016 views. Add C1Scheduler and follow the basic steps to load data. Refer to our documentation for this step. Place C1AgendaView and C1TableView on the form’s designer surface. 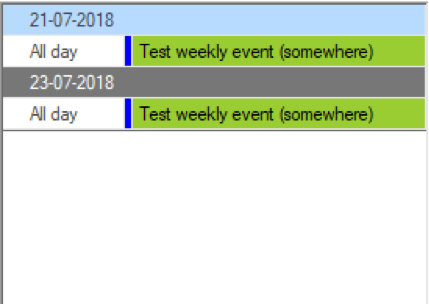 Set the C1AgendaView’s and C1TableView’s Schedule property to the object name of C1Scheduler associated with this view. By default, C1TableView sorts the list by Start field and groups them by Recurrence field, you can change this behaviour to sort and group the list by any field. Also, you can format the text displayed in group row. Similarly, header for C1AgendaView can also be formatted. To learn more about adding Outlook-style scheduling to your .NET apps, visit our Scheduler for WinForms page. Here, we discuss managing appointments, localization support, HTML text support, importing and export data, flexible data binding, and more.